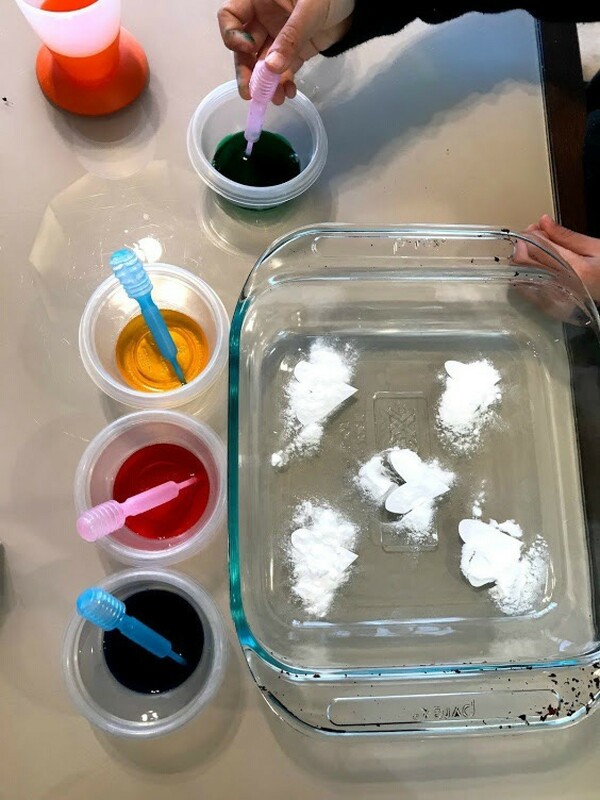 This is a fun indoor experiment for your kids to do and then you can make a nice card or decoration too. 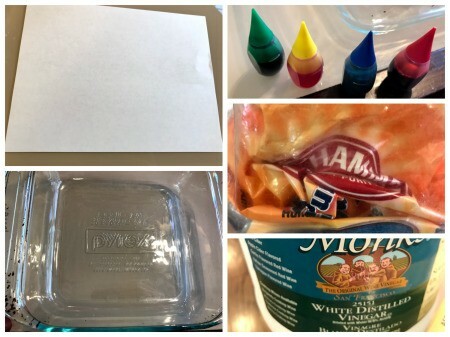 They will be exploring the chemical reactions of baking soda, vinegar, and food coloring - fun fizzing! 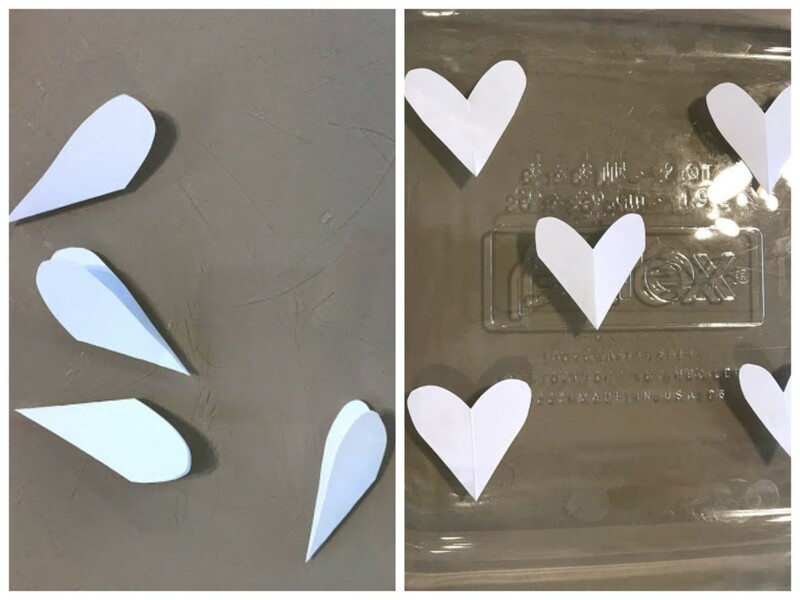 Cut out the shape or design that your child would be interested in decorating. 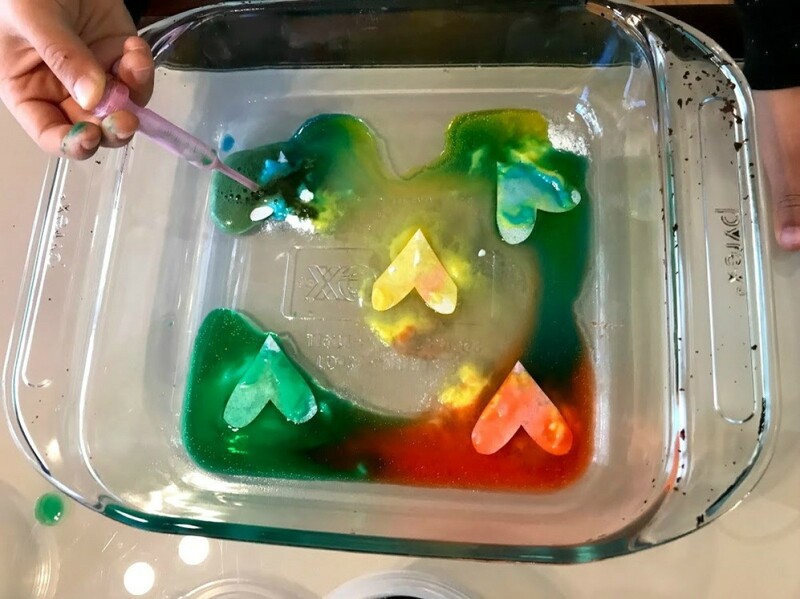 We went with heart shapes. 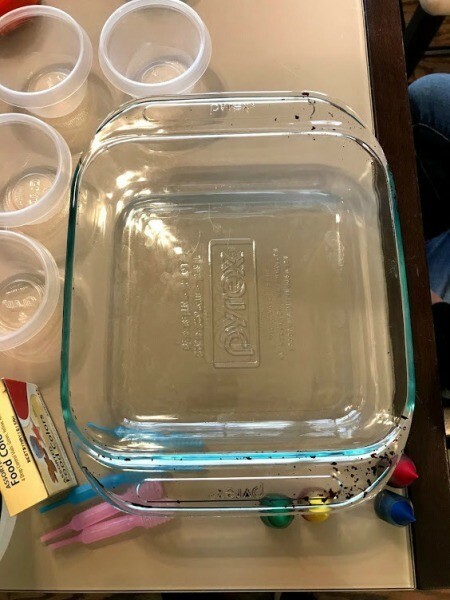 Place your shapes into the pan. 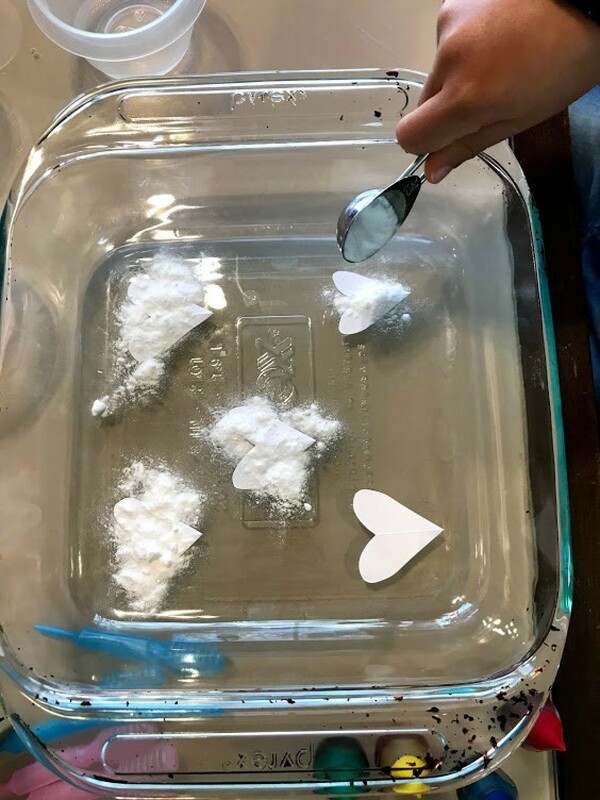 Cover each heart shape with baking soda. Fill small containers with some vinegar and food coloring. 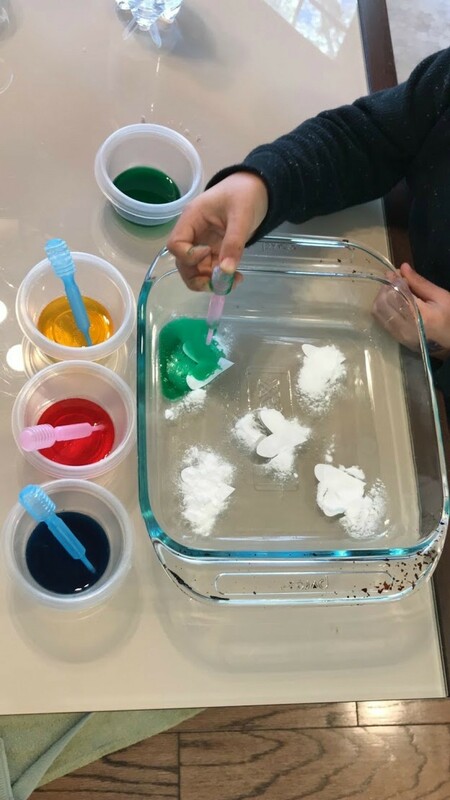 Have your child use a pipette and experiment to see the fizzing. 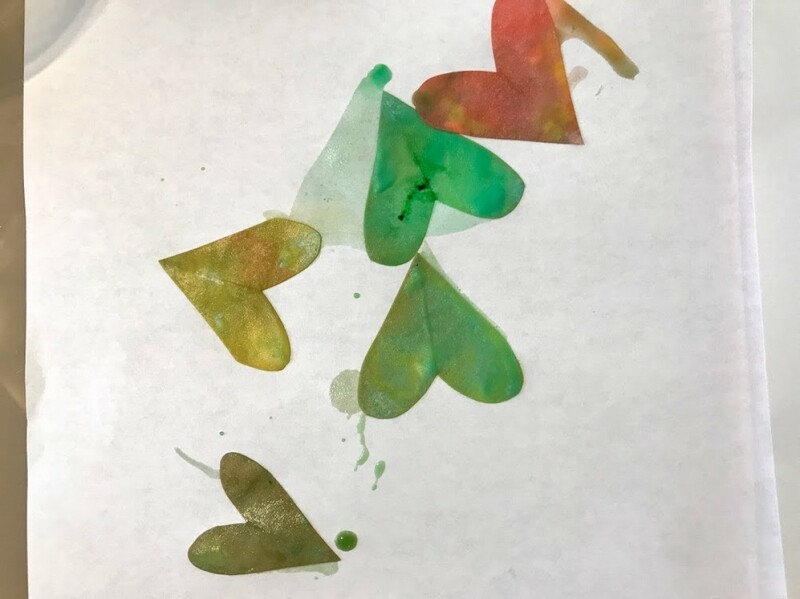 After your child is finished experimenting you can pick up the heart shapes and place on a white piece of paper or card stock and you'll have pretty results after dried! 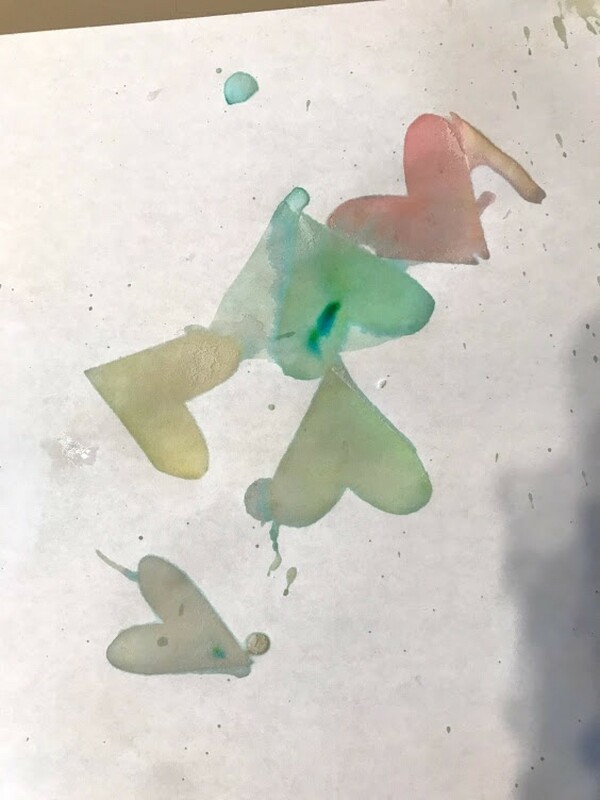 This can be used to make a card or stationary paper. Or you can make heart decoration by taping the hearts on a string.